Pete Reed joined the ranks of triple Olympic champions at Rio 2016 as he followed up his memorable victories with the men’s four at Beijing 2008 and London 2012 by winning gold in the men's eight. 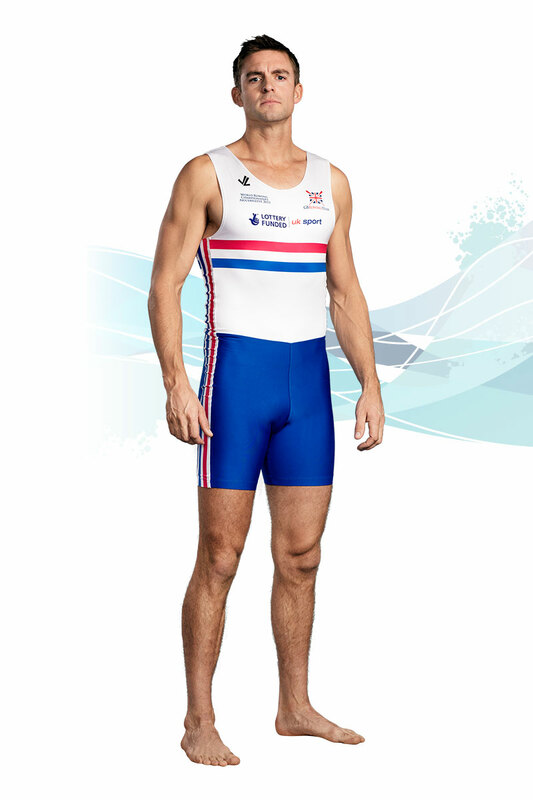 Reed is a former Oxford Blue and is one of the most decorated rowers ever in the GB Rowing Team. He has also won five golds – three of them during this Olympiad – and three silvers at the World Rowing Championships during an illustrious career. A lieutenant in the Royal Navy, he is a great ambassador for the Senior Service, and is generally known in the rowing world as ‘Commander’. He was awarded an MBE in the 2009 New Year’s Honours list. Injury kept Reed out of action for the 2017 season and he decided to bring a curtain down on his international career in March 2018. 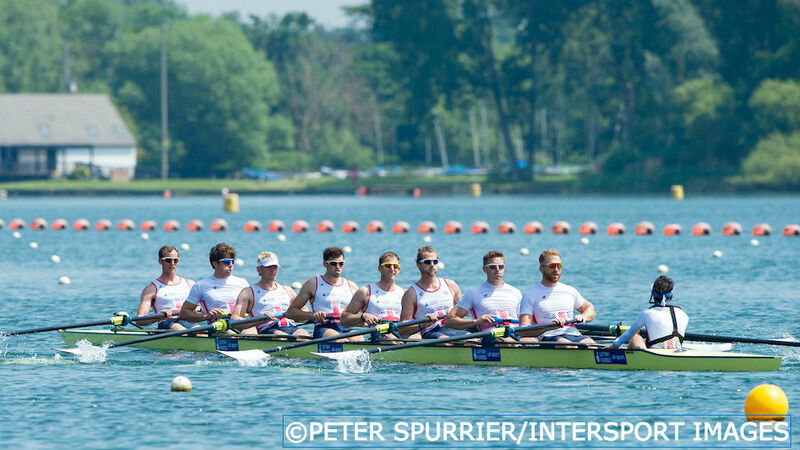 Reed was once again selected in the men’s eight for the 2016 season and won a bronze medal at the European Championships in Brandenburg, with GB taking third place on the line. He missed the Lucerne World Cup through illness but returned for the World Cup in Poznan, where the GB eight enjoyed a good tussle with the Olympic champions from Germany on their way to a silver medal. At Rio 2016, the eight saved their best until last, winning their Olympic heat in fine fashion before producing a devastating performance in the final. They led from the front to record an emphatic victory and were crowned Olympic gold medallists. It completed a golden Rio 2016 Olympiad for Reed and the men’s eight after they won three successive world championship titles. The latest came at the end of an enthralling 2015 for Pete and his crewmates. They enjoyed a season-long battle with Germany, who had the upper hand at the European Championships in Poznan, Poland as the GB crew finished runners-up. The tables were turned at the World Cup in Varese, although only just as GB produced a thrilling late surge to win gold by three-tenths of a second. It was even closer in Lucerne as Reed and the crew held on the narrowest of victories. The World Rowing Championships promised even more drama and did not disappoint as the rivals went head-to-head once again. 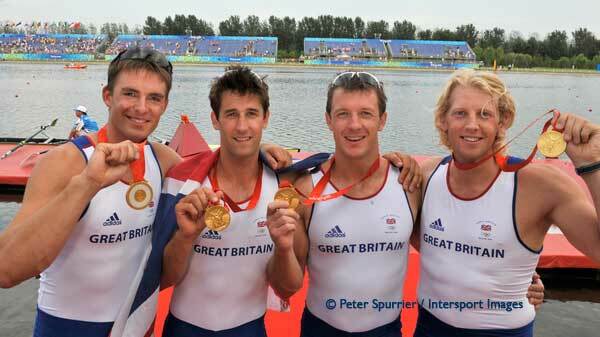 This time the GB eight won by two-tenths of a second to claim gold for a third successive year. Reed has been an ever-present in the boat since 2013, when he helped to secure a historic first-ever World Championship gold for a British eight. He also won two World Cup regattas that year. The 2014 season saw Reed and the eight win bronze at the European Championships. Second and third places followed at the World Cup in Aiguebelette and Lucerne respectively before the GB crew returned to the top of the podium in style at the World Rowing Championships, recording a convincing victory in Amsterdam. When Reed retained his Olympic title with the men’s four at London 2012, it continued a rowing career laden with medals. The first three seasons of the London Olympiad saw Reed and Andrew Triggs Hodge contest the men’s pair, winning a host of world cup medals but having to settle for silver at the 2009, 2010 and 2011 World Rowing Championships. They both returned to the men’s four for the 2012 season, joining Tom James and Alex Gregory, and won back-to-back world cup golds in Belgrade and Lucerne before narrowly losing to Australia in Munich. However, they avenged that defeat in style at London 2012 – leading from start to finish,winning one of six Team GB gold medals on Super Saturday. It was while training as an officer on board HMS Exeter in 2001 that Reed used an ergometer for the first time, setting the fastest time in the Royal Navy’s fleet-wide fitness competition. He took up rowing properly in 2002 while studying Mechanical Engineering at the University of the West of England and enjoyed a rapid rise through the sport. After finishing fourth in the coxed four at the 2003 World U23 Championships, Reed narrowly missed out on selection for the Athens 2004 Olympic Games. His major breakthrough came during a phenomenally successful 2005 in which he won the Boat Race with Oxford University and was part of a new-look men’s four – along with Andrew Triggs Hodge, Alex Partridge and Steve Williams – that won the World Championships and three World Cup golds. Fourth place at that year’s World Championships and a difficult start to the 2008 season followed but, by the time of the Beijing Olympics, the GB four had re-established themselves as serious contenders. In a dramatic final, Reed, Triggs-Hodge, Tom James and Steve Williams made a late push to overhaul Australia and win a memorable gold. Reed was awarded an MBE in the 2009 New Year’s Honours list. Awarded an MBE in the 2009 New Years Honours list, Reed has the world’s largest recorded lung capacity of 11.68 litres, almost twice the normal average. When he was tested by the Institute of Naval Medicine in 2009, he blasted the pointer off the graph at the first attempt. He was born in Seattle in the United States but his family moved to England several months later. A mechanical engineer, Reed finished his master’s degree at Oxford University in 2005 and represented the Dark Blues in two Boat Races. 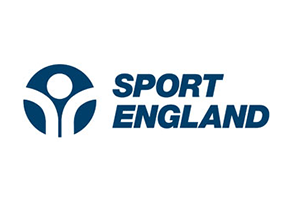 He was named as both the Royal Navy and Combined Services Sportsman of the Year in 2005 and received the prestigious British Olympic Association Male Olympic Athlete award in 2014. His love of rowing is such that he lists The Redgrave Pinsent Rowing Lake at Caversham as his favourite travel destination and his ergo, his boat and his oars as the three things he would prefer to be stranded on a desert island with. He is also a talented musician (piano) and can take a mean photograph. His ideal dinner guests are Ricky Gervais and Karl Pilkington, while his favourite book is True Blue: The Oxford Boat Race Mutiny by Dan Topolski and Patrick Robinson. Reed is Lottery funded through UK Sport and sponsored by the Royal Navy.